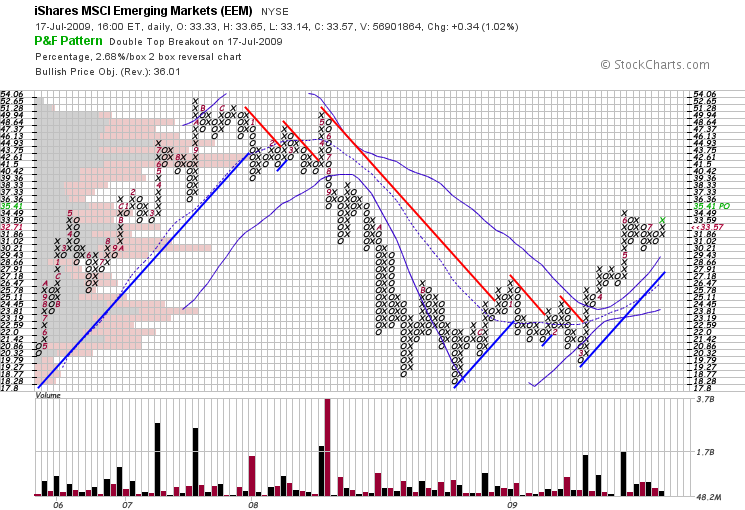 While global markets are on the rise, emerging markets as represented by EEM are giving a clean signal to buy. A double top breakout in an uptrend above a rising Bollinger is a good reason to start a position or add more units and raise stops. A move below 30.21 would warrant caution, but with fortune favoring the bulls, there is no reason to be scared of the odds. Growth abroad will prevent the apocalyptic economic prophecy that was foretold six months ago, one billion Chinese want iPhones, and I suspect the USD will take a beating. Chinese small caps (HAO), India (EPI) and Chile (ECH) have led the way up, and I don’t see why they should stop now. Bullishness is through the roof, and so long as the price confirms this sentiment, it its wise to take advantage of the frenzy. We are less technical based & can see quite a few fundamental signals across the bond, fx, & commodity markets that align. During the last “blip” we were encourage to see emerging market small caps hold up rather well.